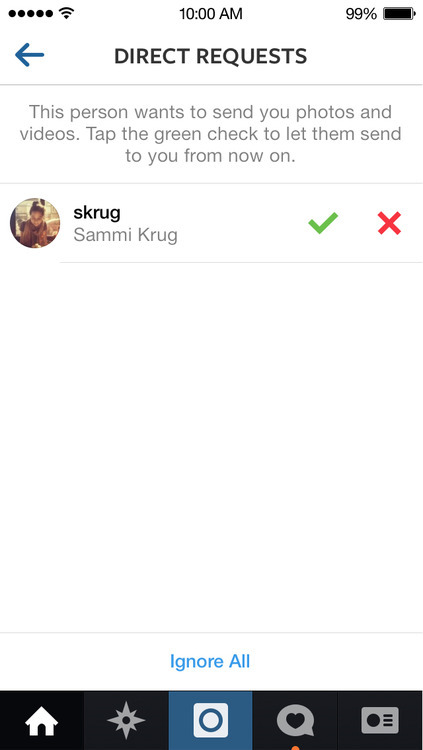 Instagram’s newest update is letting users get a little more “direct” with their followers. The update, dubbed Instagram Direct, essentially allows users to share images or videos with a smaller, private groups of people. “From how you capture photos and videos to the way you start conversations through likes and comments, we built Instagram Direct to feel natural to the Instagram experience you already know,” the Instagram blog states. In order to leverage this feature, users can click the new icon on the top right corner of the home feed. From there, users can see photos and videos that other people have sent, as well as can send photos and videos to a select group of people. To share a piece of content “direct”, users simply need to tap the names of the people they want to send the image or video to. Once the content is sent, users can view who has liked the content and commented on it in real time. It is important to note that users can send a direct message to up to 15 people. Direct messages can be sent to anyone, however, if a direct message is sent to someone who doesn’t follow you, the post will go into the requests queue. If the request is accepted, all future direct messages will be delivered. 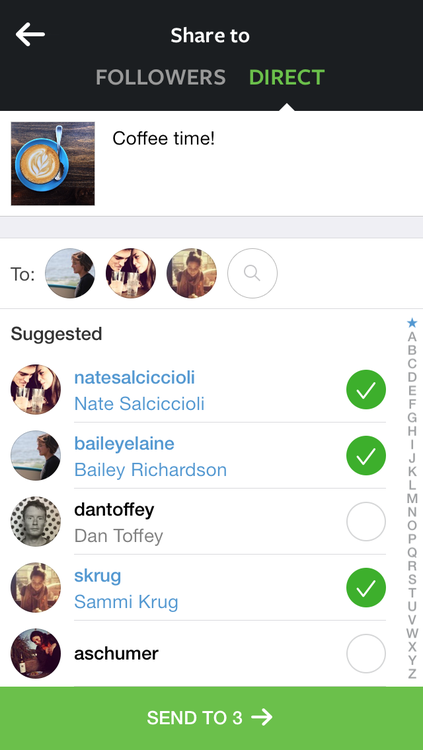 Instagram Direct provides a new way for users to engage with each other and develop more personal relationships. That said, only time will tell if brands will leverage this new feature to connect directly with followers and foster deeper relationships. What do you think about Instagram Direct? Let us know in the Comments Section below.